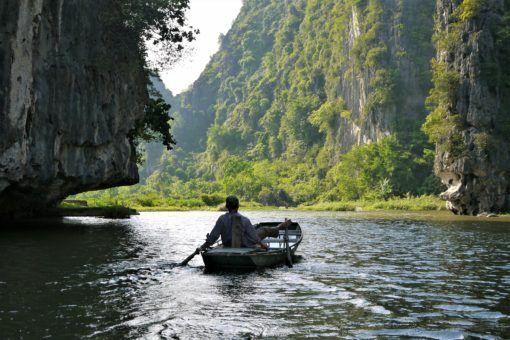 When it comes time to top up a Thai tourist or business visa, most people tend to make a quick border run to Laos, Burma, Cambodia, or hop on a cheap flight to Malaysia. Vietnam isn’t generally a common option, despite the fact that budget airlines fly directly to both Hanoi and Ho Chi Minh City from Bangkok. This might be because you normally have to organise a visa to enter the country. Luckily, when we visited new rules had been put in place allowing citizens from many countries, including the UK, to enter for free for 14 days. However, if you do want to enter Vietnam for more than 14 days then we would recommend using Vietnam Visa Pro for your visa approval letter to obtain your Vietnam Visa on Arrival. 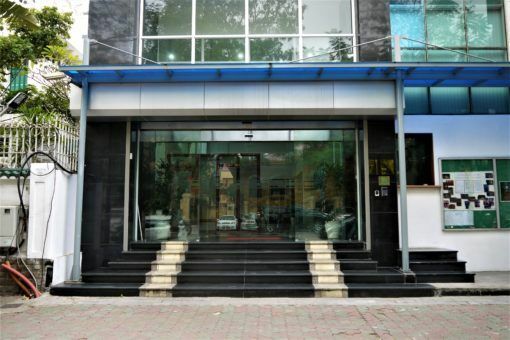 Where is the Thai Embassy in Hanoi? If you’re staying in Hanoi’s Old Quarter then you can easily walk to the embassy, but a taxi will only set you back a few dollars. 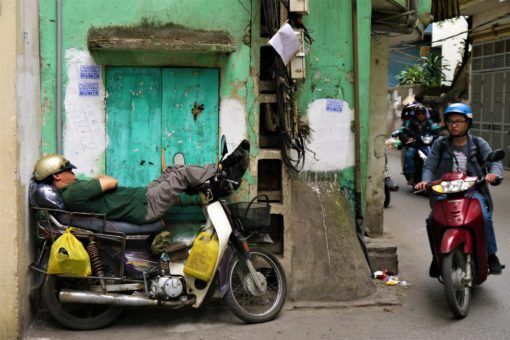 To avoid meter scams (which we’ve been caught by), look out for a green Mai Linh taxi. They may drop you outside the front entrance on Phan Boi Chau street, just walk around the corner to the office entrance on Ly Thuong Kiet. Your passport with at least six months validity. Photocopy of the picture page of your passport. The $40 application fee, payable in US dollars (luckily the Thailand tourist visa fees had been suspended when we applied, so we didn’t have to pay). Proof of onward flights from Thailand. An address in both Thailand and Vietnam to put on the application form. You can use hotel or apartment addresses. The people at the embassy are friendly and will help you fill in the forms, however, I’ve heard conflicting reports about which documents they may request. We took everything listed above and had no problems with our application. We were told to come back the next business day at 4pm to pick up our passport and new visa. 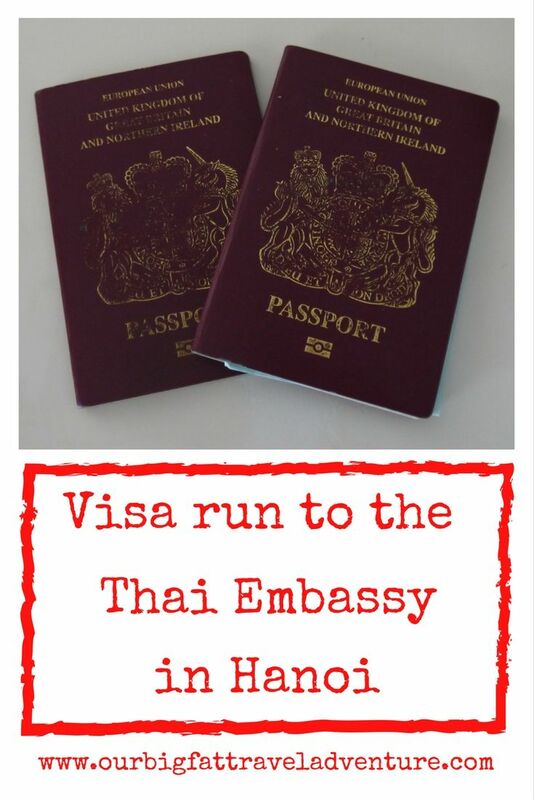 Do you have any questions about Thai visa runs? Let us know in the comments below. Hi Roy, yes, it’s just general travel insurance to cover everything from medical to repatriation, theft, etc. We haven’t needed it on any of our other visa runs so it seems like the Hanoi branch is just quite strict. However, some people say they weren’t asked for it, so it looks like it’s up to the individual official. We already had our insurance policy with Explorer, so all we had to do was print it off. I’m planning to go for a visa run to the embassy in Hanoi by May 4th (as I assume that the embassy is closed during the Vietnamese national holidays on May 1st and 2nd). The previous couple of visa’s I got from the Ho Chi Minh embassy of Thailand. There I never had to give them bankstatements and insurance papers. The only thing needed were printed plane tickets to and from Thailand and a pasphoto, together with the application form. That’s all. So I hope Hanoi will be no different. Hi Robert, yes, I hope you won’t need them either. When I was researching I heard conflicting reports about what was needed, so we took everything to be on the safe side. Do let me know once you’ve made the visa run whether they accepted it without those documents. Since you didn’t mention anything I assume that the process was done as you were informed on the day of submission. So you submitted documents in the morning and was told you could pick up documents the following day (or the following working day), is that correct. Would that apply to any visa do you know that? Hi Jeppe, yes, we picked up the documents the next working day. I believe that the Thai Embassy website has details about how long it takes to get different types of visas, so it’s best to check there. 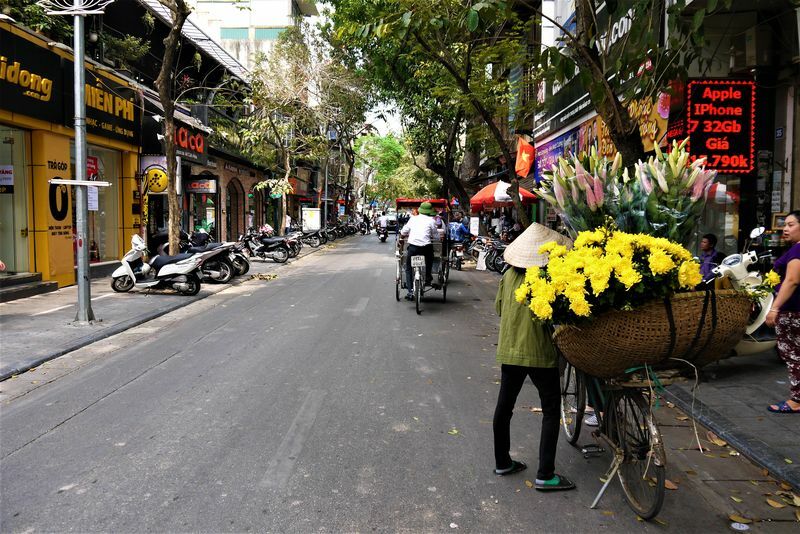 It’s always good to give yourself a few days to explore Hanoi though! Hi Tony, we have used many companies over the years for travel insurance, we’re currently using Explorer, a UK company. You could also try World Nomads. You’d need to print out a copy of your policy details and take them along to the embassy. Your site is very helpful and is detailed too. Thanks for the help. I am planning to fly to Hanoi for a visa run but not for a tourist visa though, I am not sure if you have an idea, hopefully you can still help me. Would you happen to know if the same documents (as listed above) are gonna be required from me if I apply for a Non-B visa? I tried checking different sites, but found nothing close to my case. Hopefully you can help. Thanks a lot! Hi Olivia, sorry for the late reply. Yes, as far as I know you’ll need the same documents, plus a work contract I believe. It’s best to contact the Thai Embassy in Hanoi to check exactly what you need. Thank you so much for this super-informative article. It’s some great info, so thanks for putting that together! I had a question about the time it took to process your visa application. I’d like to head down to Cat Ba for a couple of days while they process my application. It works out a real pain if I can’t pick my passport up until 4pm the following day, but it works out great if I can leave it there while I go rock climbing on Cat Ba, or pick it up earlier the following morning. Do you think it will be possible to leave my passport at the embassy for several days while I travel within Vietnam? If not, from your experience do you think there’s a chance of getting it back before 4pm the next day? Hi, is there a problem going to Ho Chi Minh for a tourist visa. I have been there 3 times in the last 2 years and had no problems, very quick service. You mention they are not as good as they were. In what way? Are they more strict with issuing tourist visas? My last visa was issued in America in March 2018 and i have been in Thailand since April 1. My visa extensions run out at the end of this month. Any help would be appreciated. 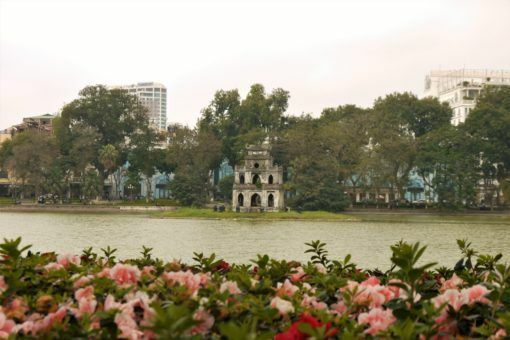 My preference is to go to HCM City. Hi Peter, sorry, since we haven’t been to HCMC for a visa run, I really can’t say how it compares. I have read that HCMC is a pretty smooth process, similar to Hanoi and you’ll need the same documents I believe. It might just be a bit stricter because more people go there to get their visas renewed than Hanoi. Anyway, good luck and let us know how it goes. I just dropped my application today. They didn’t ask for travel insurance. Not many people at the office when I arrived. They didn’t ask me any questions about my application, and I’ve been staying in Thailand since over a year on that passport. I did notice they were giving travelers a hard time when they a) Didn’t have a flight out of Thailand, B) Wanted to pay in local currency. Hi, thanks for all this updated information, it’s really useful. Interesting that they were particularly interested in the flight booking. Glad you managed to get everything sorted. Hi Harvey, sorry for the late reply. Yes, it was for 60 days. If possible you should update it to show 2x passport photos. I took one only to find out I needed another and had to go find a FujiFilm store since they don’t take them in the embassy. Hi Phil, thanks for the info, I’ll update the post.